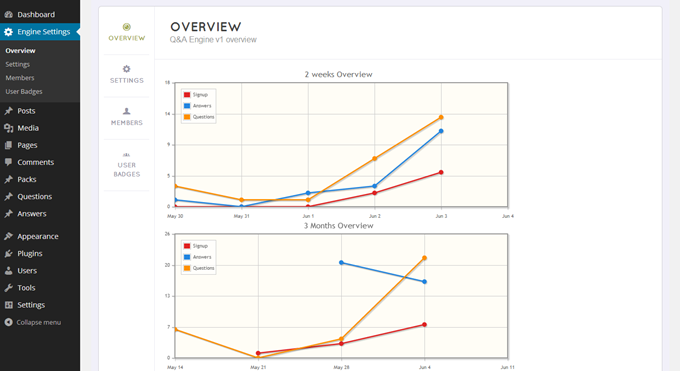 This section provides statistic charts about your site activities such as: signup, questions, and answers. You can see this overview on different time: 2 weeks, 3 months or all time. It will be a great tool for admin to keep track his site content.